The Jomfru Project. 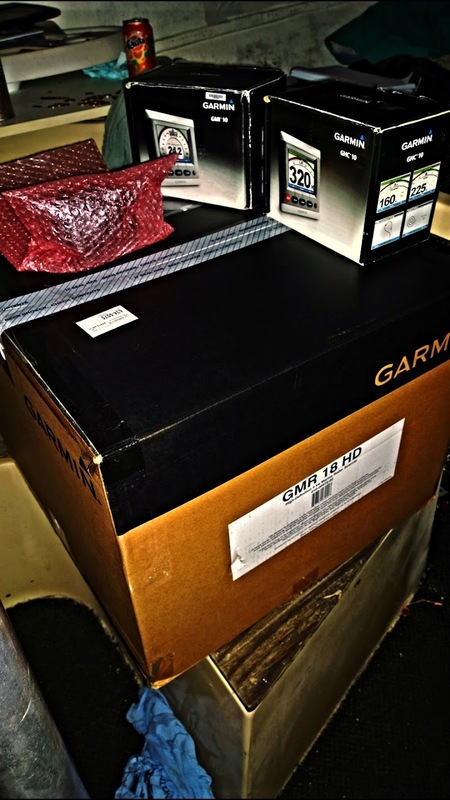 : Full Garmin electronics started arriving today. After weeks and weeks of work and waiting I started receiving some of my Garmin Electronics today from my customer.Today I received my Garmin 18 HD radar along with some other components such as a GMI 10, and also a GHC 10.Tomorrow I will take possession of a ghp 12 sailboat autopilot along with autopilot pump.